Yes, I do realize that this is my second post in a row about pizza. I also realize it's been a while since I've posted - that's just how I roll! This recipe came about by complete accident, amazing how sometimes those are the best! 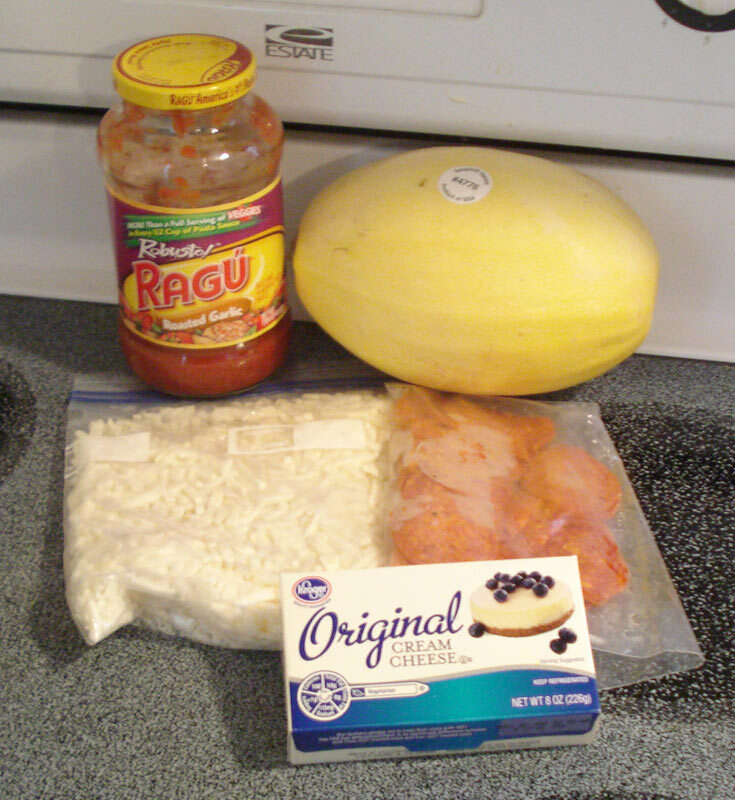 I picked up a spaghetti squash at a local produce market and wanted to do something different than just serve it with pasta. The extra challenge in this is that I have an 11 year old who swears he hates squash and a 35 year old who isn't always crazy about it either! 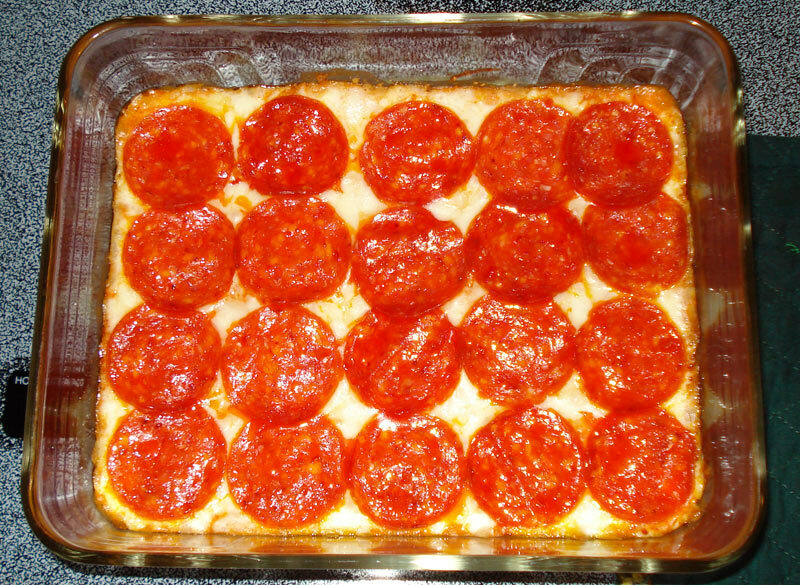 Since I always have pepperoni and mozzarella cheese on hand I decided to incorporate those. Fortunately it turned out amazing! I just called it a pizza bake and no one was the wiser, though I did let my hubby know. The proclaimed squash hater practically licked his plate! I did tell him after he cleaned his plate that it was squash, initially he made a big deal that he didn't really like it but the truth finally came out - he did enjoy it! He even helped me make it again so I could blog it, and licked the bowl! Pasta sauce (about 1/2 a jar), spaghetti squash, mozzarella cheese (2 1/2 cups), pepperoni (6 oz), and cream cheese (1/2 block). I start by cooking the squash, if you have never cooked one it is pretty simple. I do it in the microwave, but it can also be done in a pot of boiling water or in the oven. I use my Tupperware cooker and add about 1/4 inch of water and microwave it for about 10-12 minutes. Before microwaving or baking it in the oven, cut it in half and scoop out the seeds. After cooking, let it cool enough that you can handle it easily but don't let it get too cool. 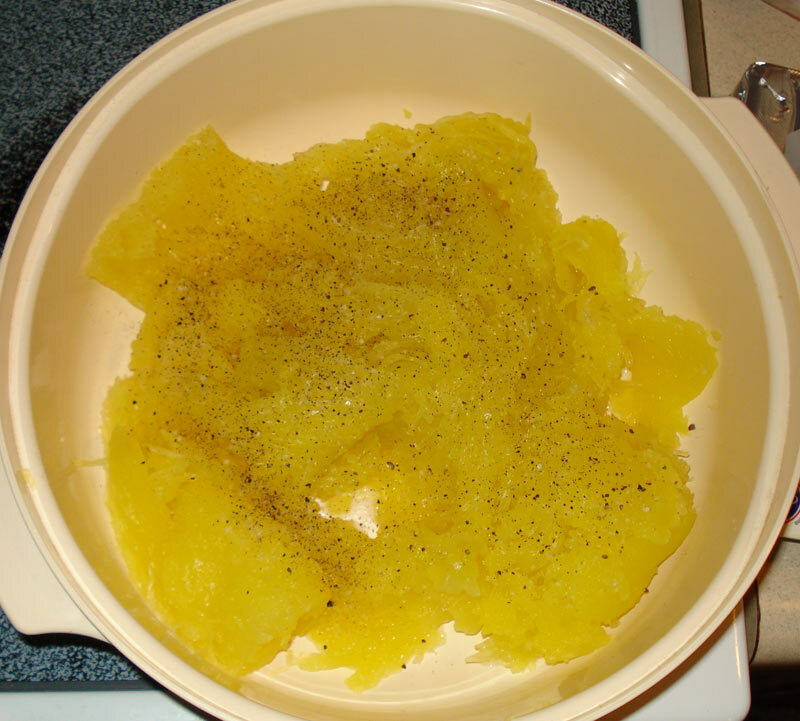 Scoop out the squash and put into a clean bowl. At this point I sprinkle fresh ground pepper and kosher salt on it. Beautiful! From the side it looks like this. 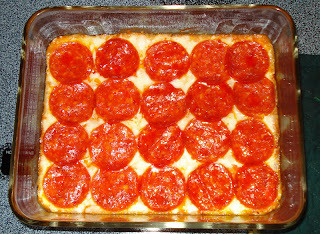 There you have it, Pizza Bake Surprise! Obviously the surprise is that it is made of squash! This is going to become a regular on our menu rotation!